A year of policy and proposals from the White House hasn't done much to halt coal power's decline. After that came a year of White House support for coal and other fossil fuels. In the weeks after the 2018 State of the Union, the Trump administration worked to ease EPA regulations and increase oil and gas drilling. In August, the EPA proposed replacing the stalled Clean Power Plan with the Affordable Clean Energy rule, which would give old coal plants cover to keep running with only minor upgrades. Critics warned it would be more expensive, less healthy, and wouldn't reduce emissions as much as the Clean Power Plan. Meanwhile, as far as the energy industry is concerned, U.S. coal is, in fact, losing its war. In 2018, consumption was at one of its lowest points in almost 40 years. 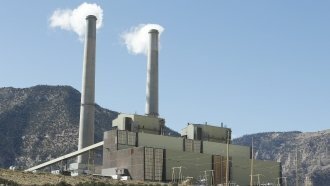 Coal plants are closing in near record numbers. Renewables and natural gas are getting more competitive.